the last fight didn’t end until around 12:15PM. by the national anthem of the United States. Broner entering first and Pacquiao entering second. followed by a straight left to the body. left hand before Broner clinches with him. is very aggressive this round. looks like he’s close to landing a power counter. lands another good left to the body. jab, followed by a two punch combination. Broner lands a good straight right. connects with a left on a rushing combination. lands another good left cross on Broner. by the corner. Very good round for Pacquiao. lands another shot to the body of Broner. lands a good counter right hand on Pacquiao. lands a left to the body off of a combination. Broner lands a good up jab on Pacquiao. with another good straight right hand. Broner flicks out another counter left jab. Better round for Broner. lands a decent counter right hand. 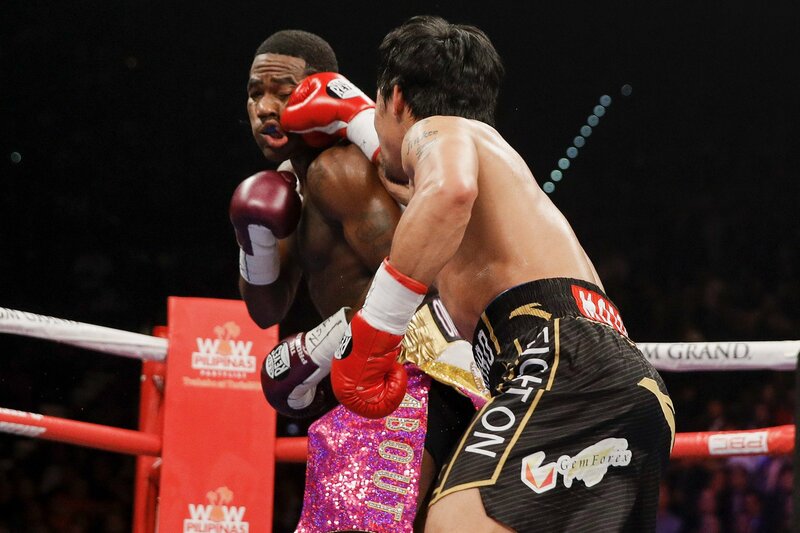 Broner was backing away most of the round. lands a good left hand to the chin of Broner. shot, the referee warns him for a low blow. hard to imagine him wining. The finals scores were 117-111, 116-112, and 116-112 for Manny Pacquiao. 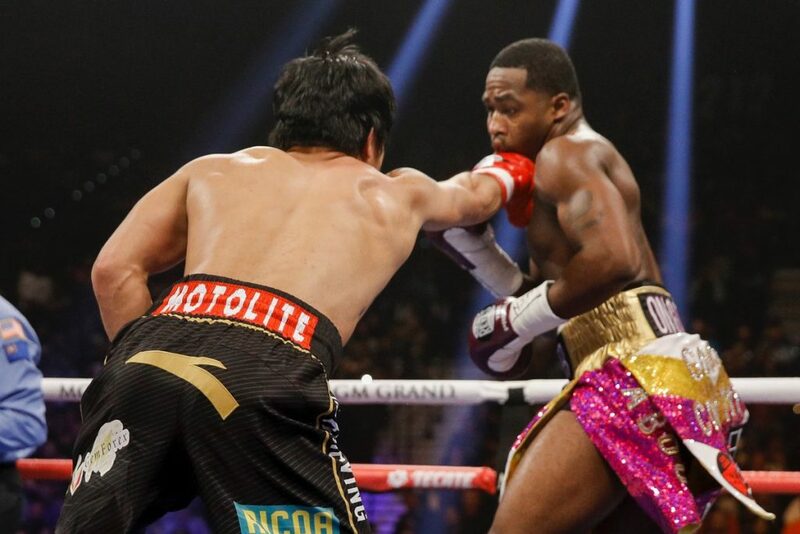 The post Showtime PPV Round by Round Results: Pacquiao Dominates Broner Over 12 Rounds appeared first on BoxingInsider.com.